Big Smack’s end of season round up! We’ve been so busy at here at NRG, it feels like we’ve had a bout every day so you’ll have to forgive us for not updating this website often enough! First of all, the first ever tournament in Newcastle, Hassle in Newcastle, was held on Saturday October 26.
which set up the final as a showdown between first and second seeds NRG Whippin’ Hinnies and Furness Firecrackers, and the underdogs, the Firecrackers, took the win and the first ever Hassle In Newcastle trophy with a 178-142 victory! 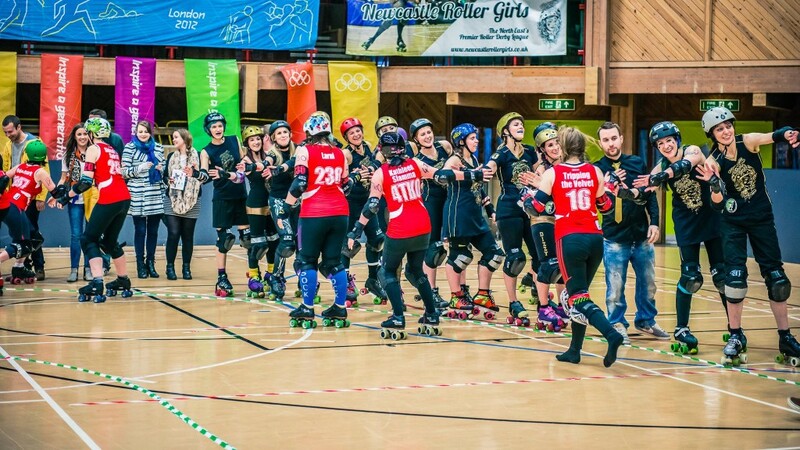 then just two weeks later on Saturday November 9th, we hosted the double header game Skate Like An Egyptian against Leeds Roller Dolls’ A and B teams. 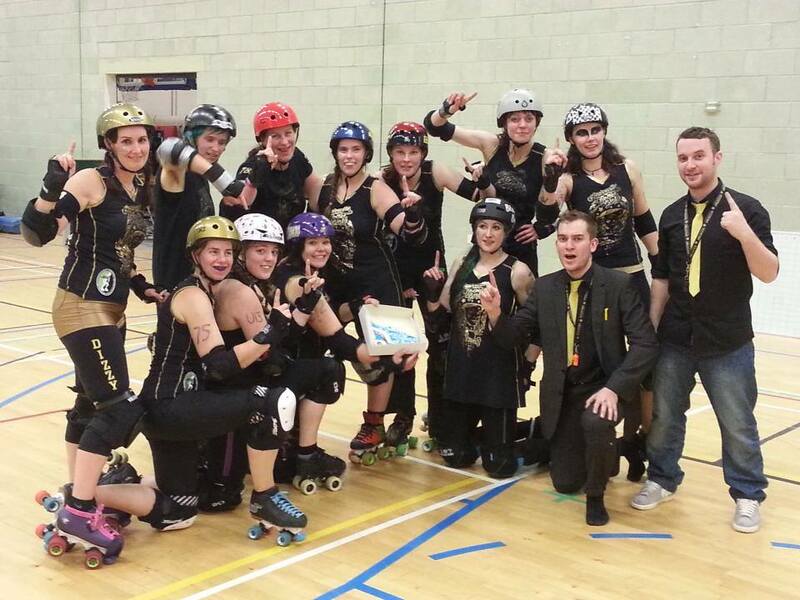 Actual score: Leeds Whip-Its 134 – 154 Whippin’ Hinnies! 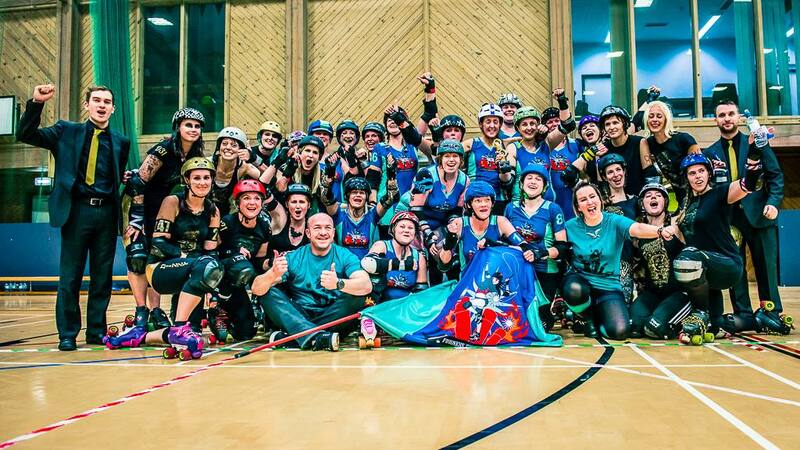 Actual score: Leeds Rebel Roses 244 – 160 NRG Canny Belters! Not content with upsetting the score against Leeds, the Hinnies then headed up to Scotland exactly one week later on Satuday November 16th as late added contenders in the Battle of Britain tournament, which they won after beating all their opponents in 30-minute games: Reaper Roller Girls 106-16, Belfast 72-31, and mighty Dundee 60-51! 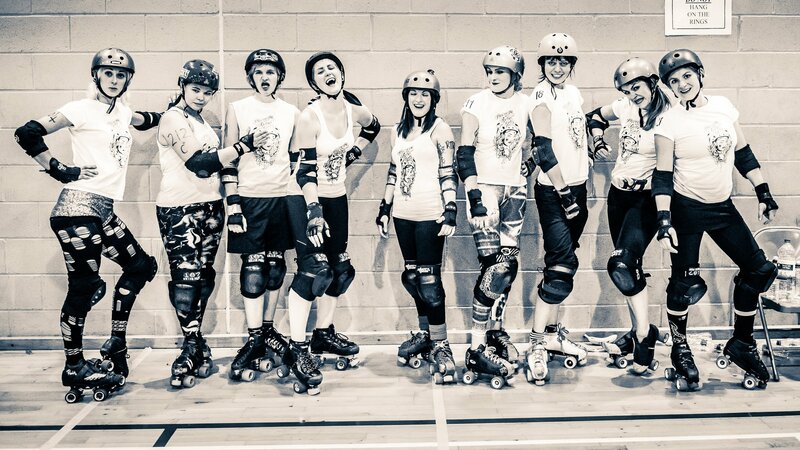 And then one week exactly after that, the Canny Belters played their last game of 2013, at home against Sheffield Steel Roller Girls on Saturday November 23rd. 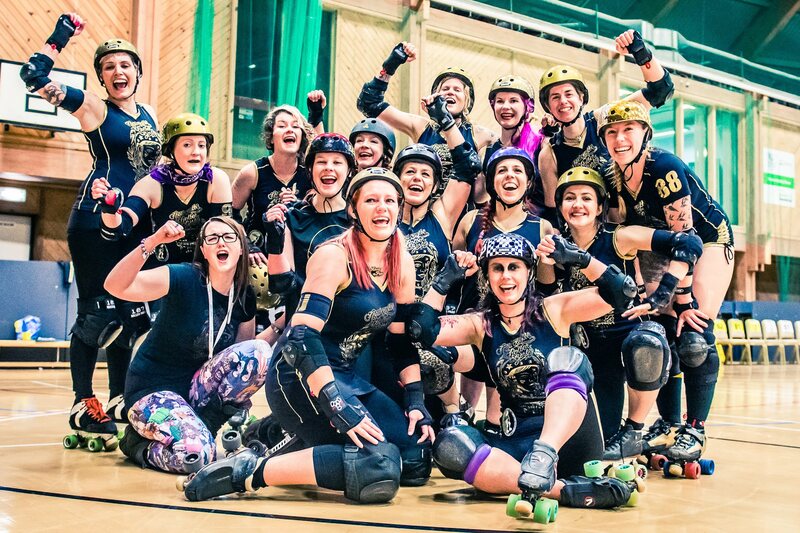 They had met twice on the track before with Sheffield taking the win both times, but it was third time lucky for the Belters who smashed the predicted score of Sheffield winning 150-139 and came out the victors with a whopping 237-89 victory! This means the Canny Belters end the year ranked 25 in the Derby Data Europe rankings. 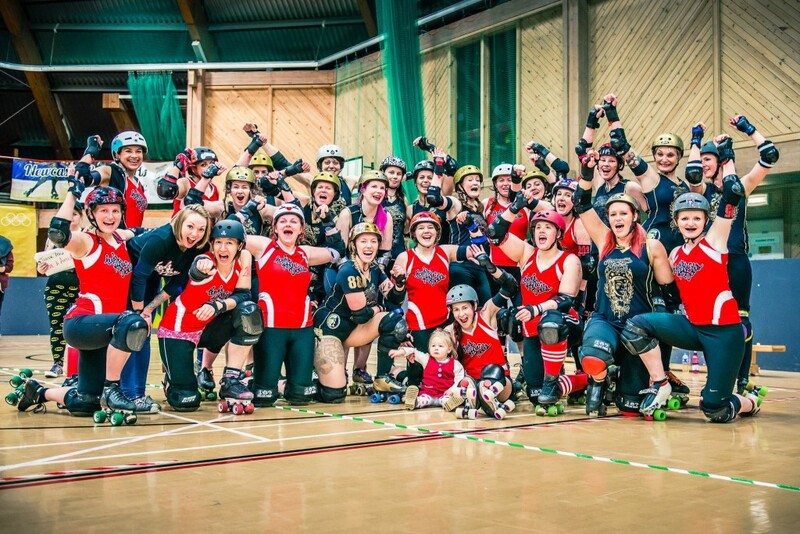 But the Hinnies weren’t quite finished for the year, and had one game left in them – on Saturday November 30th against none other than Barrow’s Furness Firecrackers who had pipped them to the post at Hassle in Newcastle just one month earlier. Our girls went to Cumbria with a mind to settle the score and that they did, beating the hosts 176-133. This win means that after a dive in the rankings after the October tournament, the Hinnies end 2013 ranked at 59. Previous PostBelters rematch against SSRG – buy tickets!Next PostNew season, new website, new intake!